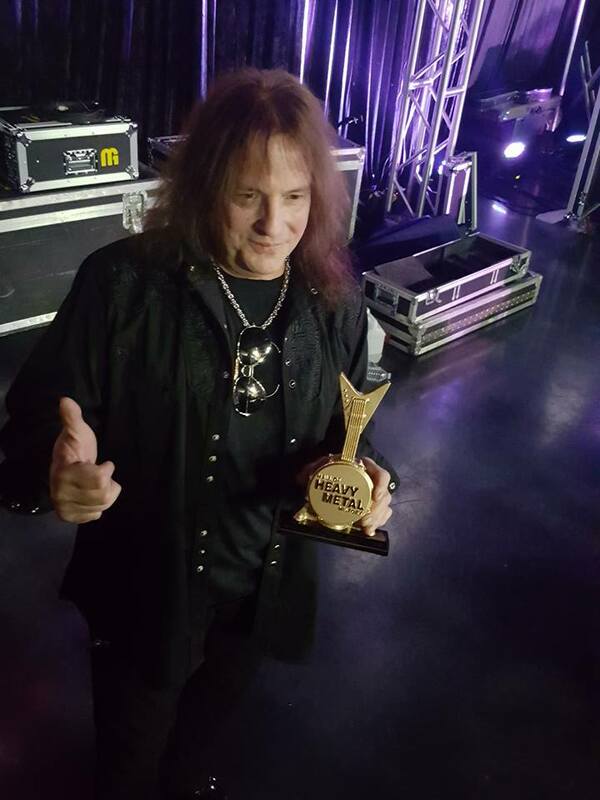 Ross The Boss was officially inducted into The Hall of Heavy Metal History on Tuesday January 18, 2017 during a ceremony held at the Anaheim Expo Hall as part of the NAMM festivities. He told the story of how Ronnie James Dio introduced him to Joey DeMaio and essentially started Manowar, the band that would eventually bring him to this special place in his career. The new version of the Ross The Boss Band, featuring his Manowar alumni friend Rhino on drums, played after the induction ceremony kicking off their 2017 World Tour. See Tour Dates page for details.